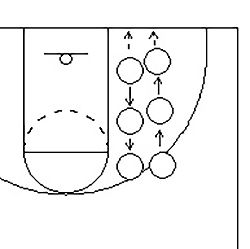 The main purpose of this drill is to practice getting the ball into the post quickly and effectively. 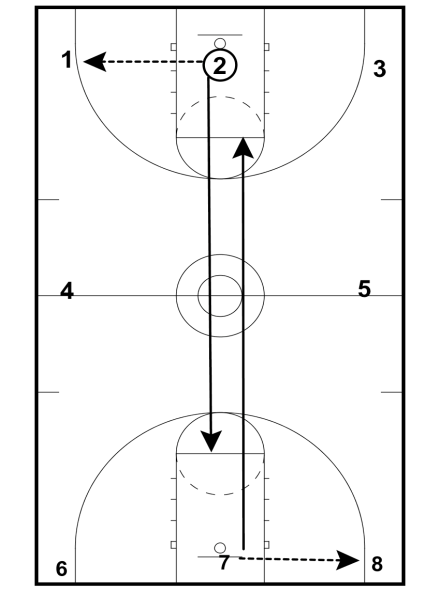 This drill begins with two groups of players at the top of the key, a player at each wing, and a player at each post position. 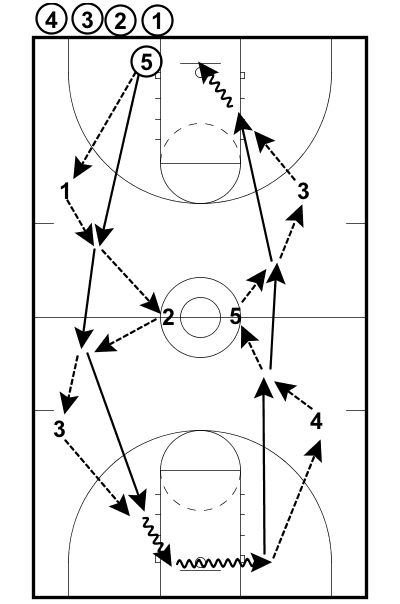 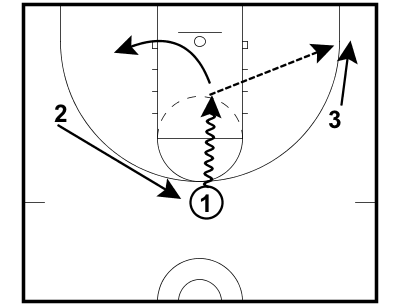 This drill will be run separately on each side of the lane at the same time.